For courses in Drugs & Society. 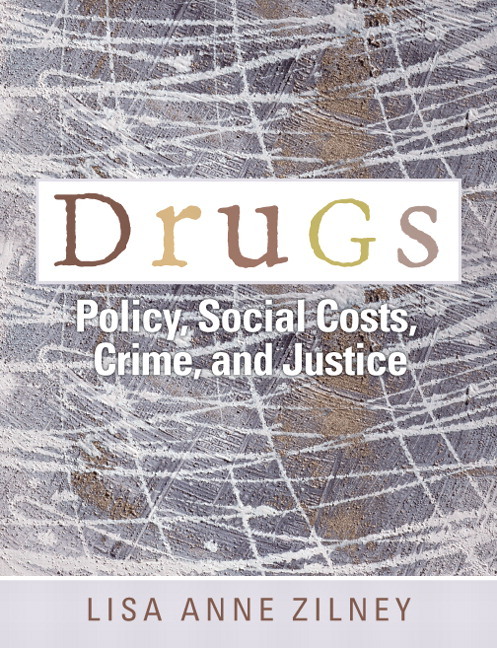 Incorporating fields of sociology, criminology, and public policy, this book provides a more complete understanding of the issues surrounding drugs. The primary purpose of this work is to teach students about the dynamics of drugs (both legal and illegal) in American society, while providing a look at historical law creation and current law enforcement. Unique coverage includes topics such as the history of drugs in the U.S., the integral role of race in the creation of drug laws, the elaboration of the global trade in drugs, the U.S. drug control policies and the impact of the U.S. drug war on international relations. Incorporates observations from sociology, criminology, and public policy–throughout the text. Gives students a more complete understanding of the issues surrounding drugs. Includes more on U.S. drug control policies, the impact of U.S. laws on international relations and other nations approaches to drugs–see Part IV. Provides a richer perspective and more in-depth coverage than competing books. Emphasizes the U.S. drug war domestically and globally. Helps students understand that the U.S. war on drugs has negative implications on the poor and racial minorities within the United States, as well as negatively impacting international relations. Emphasizes the creation of drug laws. Helps students understand the politics behind the creation of drug laws and why some drugs such as alcohol and tobacco are legal (despite being harmful), and other drugs are illegal. Includes real-life segments and human interest stories–at the beginning of each chapter. Gives students a first-hand qualitative look at the issues addressed in the chapter.